Buy Rica March a coffee. ko-fi.com/poppyapples - Ko-fi ❤️ Where creators get paid by fans, with a 'Buy Me a Coffee' button. Hello! I'm Rica and I'm a queer comic artist from Stockholm, Sweden! Hey! 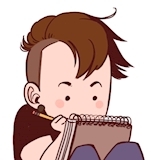 I'm Rica, a queer comic artist from Stockholm, Sweden! Donations will go directly to supporting me as a freelancing creator and all that life entails - program subscriptions, website fees and, of course, caffeine. Every dollar helps! Secured Payments. Support goes to Rica March's account. Upgrade Rica March to a yearly Gold Membership with a one-time payment.